With over 50 unique candleholders in this collection, Gregg Hessel invites you to create your own individual groupings to spectacular effect. 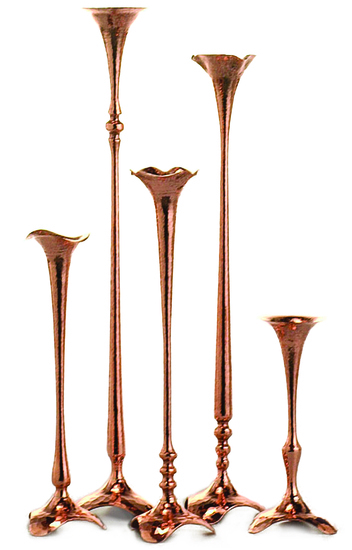 Each piece is worked by hand to produce a unique flare and twist to the elongated shape. Approximate lead time of 8 weeks.